Robert Dillion has waited patiently for Drew Thompson of Fairfield Prep and Brendan Murray of Cheshire to graduate. He was third in SCCs, Class LLs and the State Open last year and is now looking for some glory of his own. But championships aren't just given out, they must be taken. Freshman Gavin Sherry of Conard and Hall's duo of Miller Anderson and Trey Cormier are all coming into the meet to prove they are the fastest runner. They are deserving of a state title, but unfortunately, there can only be one. Hall knows they have the talent to win their first Class LL title but now is the time to put the pieces together and actually do it. This senior dominated team has shown potential but hasn't had the success on the trails like they have had on the track. To earn the coveted title, it will involve a total team effort and not just their top two. Defending champion Staples has reloaded and will not go quietly into the night. Even through they lost five of their top seven runners last year, they have replaced them with a strong JV team that is waiting for their time in the sun. 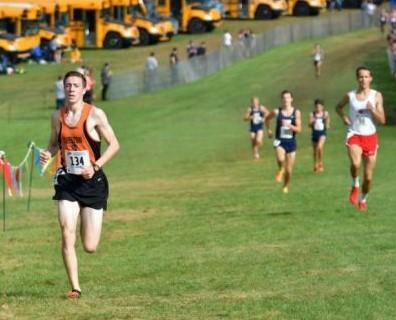 Staples defeated Danbury by 25 points at the FCIAC championships and finished close behind Hall at Wickham when one of their runners didn't finish. Danbury, who is a veteran in the winners circle can compete with the depth of any team. But it will need a super performance from at least its top two finishers to break up the other teams top runners. Scroll down below to watch last year's Class LL championships.